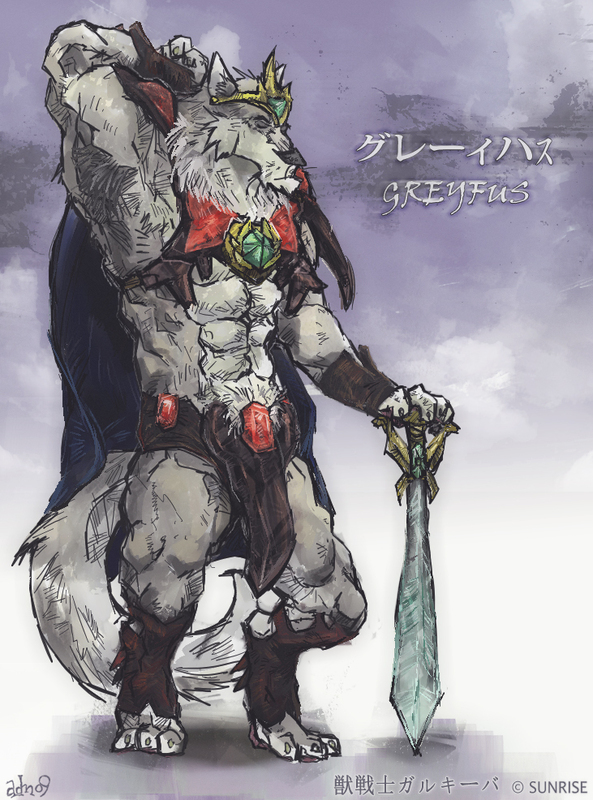 Juusenshi Gulkeeva (aka Wild Knights Gulkeeva) - page 1 - anime - Furtopia | Family Friendly Furry Forum and IRC Chat! I guess I should make this topic again after having conversed with Robert_Silvermyst and Chipper Blu-wolf about it. There was a previous topic long ago, but it's very old and numerous links in it are dead. 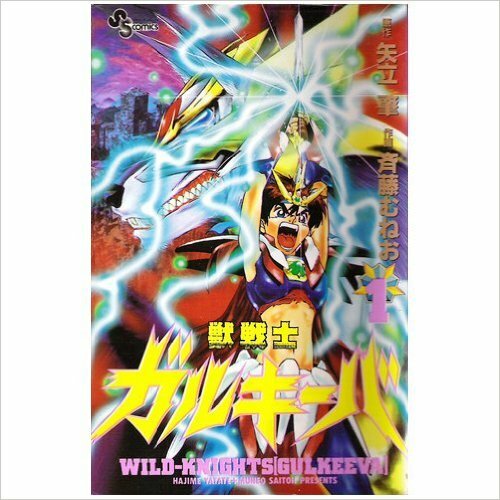 Anyway, I've been fixated on an old anime series made by Sunrise Inc. from 1995 called Wild Knights Gulkeeva. The series (26 episodes) isn't very well known outside of Japan as it has never been brought to and shown in the U.S. As for why, I don't know. Maybe it just wasn't that popular or appealing? What piqued my interest in this series was the anthropomorphic characters in it known as Beast Warriors or sometimes called Animaloids (Animal Humanoids). For those trying to find and buy the series on DVD, I wish you good luck. I'm one of the few people that has it, thanks to my best friend getting it for me. Don't ask me where he got it from as I don't know. But for those who want to try and find the DVD set, it should look like the following. Don't settle for anything less! 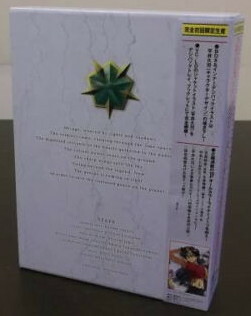 There is also a "Memorial Box Set" that has 5 colored discs instead of the normal 3. As for what else makes this Memorial box set special, I do not know. 3. What Am I Fighting For? The story/plot of the series is a bit hard to understand, but not impossible. Mostly because of the poor dubbing/translations which IMO are only about 75% accurate. Don't expect any fancy CGI in this series. It is all "old school" anime which is hand drawn. This series, from what I've seen on the Net, has mostly recieved a 3 or 3 1/2 rating out of 5. So it's neither good nor bad, but rather average or "slightly" above average. It's been awhile since I've watched this series, but I'll try to remember what I can. PLOT: Touya is your average Tokyo high school student until one day, forces from another world/dimension called Darknoids, attack the city on a mission to look for something. Three Beast Warriors from the same/similar world and/or dimension travel to Earth to stop the Darknoids. During the first 1-3 episodes, we soon learn that Touya (and his parents) are not from Earth, but instead from another world where the Darknoids and Beast Warriors come from (Read the Wikipedia article further above). Not only that, but it appears Touya has the long dead spirit of an ancient warrior named Radias inside him. So I guess Touya is the reincarnation of Radias? 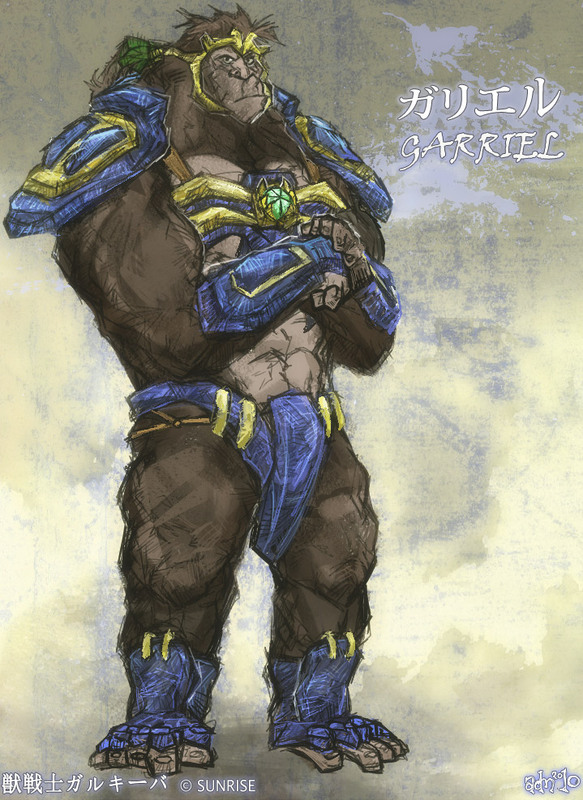 With his new Beast Warrior friends (Greyfus, a wolf; Beakwood, a eagle; and Garriel, a gorilla) helping him, Touya is able to defeat the Darknoids. But the Darknoids always come back to Earth wreaking more havoc and chaos. They always send some form of large robotic beast piloted by various henchmen to Earth to fight and destroy Touya, his friends, and cause general chaos. As for Touya's other human high school friends, there is Kira (Lavendar colored hair) who we find out that he is also a knight warrior with special powers/abilities just like Touya, but not until the middle of the series. Unfortuneately, he dies towards the end of the series. Then there is Konoha who cares for Touya and seems to have a crush/fall in love with him. Nothing special about her. She's just your average high school girl. The Darknoids are commanded by Prince Zaza who looks childish like a young teenager. He is the main antagonist. There is also one female Darknoid which I forgot her name. Apparently, I think she suffers amnesia towards the end of the series and changes her allegiances. As for why the Darknoids keep attacking Earth, it's not so much an invasion, but rather they keep looking for something. Toward the last episodes of the series, I believe it was mentioned/shown they were looking for objects that would help "switch" their world with Earth. They wanted to bring their world (Which was dying) to our dimension, and send Earth to their dimension, thereby saving their own world. 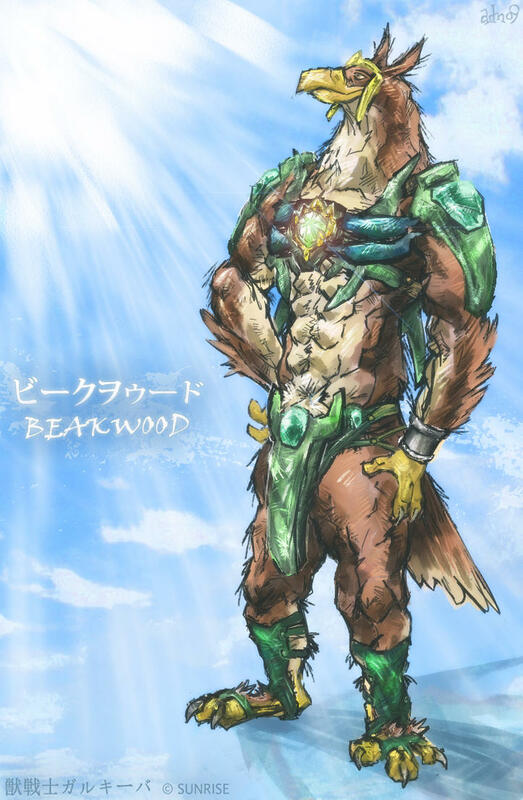 To fight the Darknoids, Touya, his friend Kira, and the Beast Warriors, all have green star shaped crystals that when activated, gives them special powers/abilities and armor. Touya and Kira "transform" into Knights, and the Beast Warriors transform into larger and more powerful feral animal forms. This series is not without a bit of comedy too. There's a blonde woman character who seems to have a crush on Greyfus. A selection of fan art I've seen on the Net. That concludes my "review" for this series. Thanks for reading. Should've known you would've posted something about the Beast Warriors! Yes, all 26 episodes are on youtube, with subtitles (for now anyway), so if you can't find that DVD, you still can watch and watch all of it if you please. I was one of the ones that did watch all 26 episodes and its a quirky show. It could've been a lot more. I wanted to find out more about the Animaloids but the writers kept them very one-dimensional and they never strayed much out of the character they were introduced as. Greyfus was clearly the leader, Beakwood was the brains or one that thought things through, Garriel was kind of the goof that got along with most everyone, especially the humans kids, and Tedium didn't come along until halfway through the series, and I'll keep it PG here, so he was a jerk the whole time. Surely they all had more emotion than that, but that's the gist of it for all 26 episodes. Only one episode attempted to dive deeper, and that was the one where the girl wanted to meet Greyfus and create oragami with him. I guess what bothered me more is the whole show could've been done maybe with 13 episodes, because there's so much repetition with the battles and how the Darknoids are defeated one after another by the Animaloids. They just pull another Darknoid from behind the curtain and say "ok attack". Lots of time is wasted here. Plus the plot is confusing as heck because you never really know what the Darknoids want, and at the ending, you still don't know after they attempt to tell you what the whole point was. It wasn't very clearly thought out, and perhaps the translation is bad. I don't know simply because I don't speak Japanese to know any different than what the subtitles tell me they're saying. 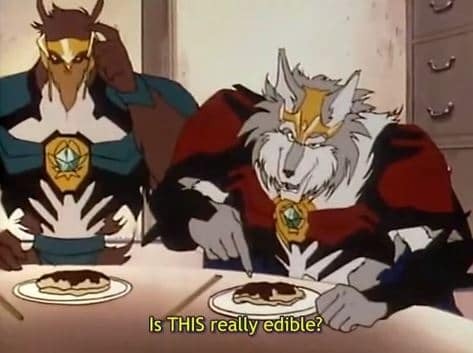 If you want to give the series a shot, give it a go, but I watched it simply for the Animaloids. The humans didn't do much for me. I don't think your image showed up in PM. Bad link or something else? As far as the poor character development and poor plot, maybe the series was rushed to completion? Or they had a bad writing staff? Or a limited production budget? I really don't know. But the whole series could've been done far better. Even some of the animation just doesn't look right. But........for what it's worth, I'll still keep it in my collection. Anyway, I find most things that start out as stories (in this case it was a manga) don't always translate the best to the screen. This was probably a victim of that. If I could read Japanese and could find the comic of it, maybe it wasn't so....confusing. It is an animated adaptation of a manga that initially was serialized in the Shōnen Sunday Super. Quote from the Wikipedia article on WKG. If the anime/DVD never came to America, then you'll never see the manga either I'm betting. It was only published in that Japanese magazine and distributed/sold in Japan and/or other Asian countries. Aha! Found this blurb on an anime forum. Haven't read any new manga in ages. I'm too preoccupied with novels, actually. I'm reading the novelized version of Gulkeeva that has been telling the story sooo much better than the TV series did. They've messed with a lot of the storyline and characters. I've really been enjoying reading through it and seeing exactly what's different, and how things were MEANT to have ended. The TV series just *stopped* w/o finishing the story. I think it was supposed to have a 2nd season but they ran out of money or something... Now I need to start reading the 2nd book! Oh, missed this on the first read, Tedium I'm pretty certain is supposed to be a bear. The growl he gives when he goes into his feral warrior state sounds like something a bear would make. Maybe. He doesn't "look" like a bear. At least, not to me. And his name is confusing too. I've seen it both ways: Tedium and Didium. As far as his drawing goes, he doesn't have a tail either, so that would rule out ferrets or wolverines, that's why I'm going with a bear. The name could have something to do with the translation from Japanese to English. Not to go to too off topic, but I remember a whole thing about the pokemon Lucario and whether is was meant to be spelled with a "L" or an "R" like Rukario because technically they're both correct and they sound the same. In the end the company made the call of how it was supposed to be spelled in English, not the fans. There's just no company bigwig here saying whether it should be "Tedium" or "Didium". 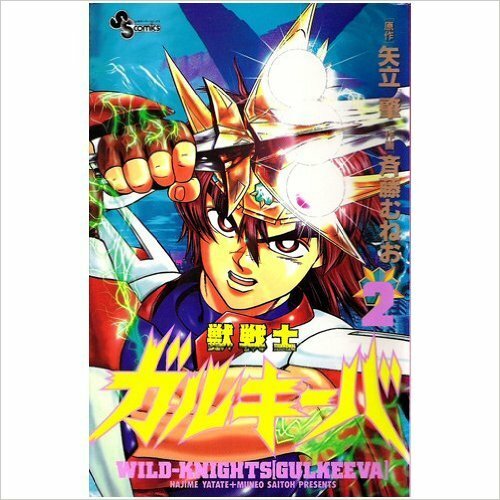 For Chipper and/or anybody else: I tried searching last night and this morning for the Wild Knights Gulkeeva manga/novels. Unfortuneately, I've come up empty so far. No links to them and no images to them either. Since the anime is a really old series from 1995 and being 21 years old, any manga/novels of the series are going to be out-of-print and damn near impossible to get. And like I said previously, the whole series never made it to the U.S., so I suspect the manga/novels never did either. Even if the manga/novels did make it to the U.S., there's a few bookstores in my area I can check, one of them a large used bookstore. I tried the same searches this morning waiting for appointments (no idea you had done the same). I kept getting lots of links to the anime show (and lots of shady download links) even with "manga" in the search term along with the Japanese name. No luck on my end either. Its kind of like the fanbase wants to forget there was a comic first before the anime. You would think at least someone would acknowledge its existence. Found the series in the original Shōnen Sunday Super comic. From what I viewed, there were two volumes? I placed an order for both. They'll be arriving from Japan in late September if all goes well. Unfortuneately, the language is all in Japanese. If there are any other Gulkeeva manga novels other than the below, then I have not been able to find them yet. What search term did you use to catch them? I though I was good as pulling off google searches for stuff. Put these two in a Google search bar and see what comes up. Man I'm almost curious enough to buy a copy of each even though I can't read a lick of Japanese. Even "if" you do, don't wait. They are really rare and hard to find, at least, IMO. Just got confirmation emails from Amazon that both manga volumes have been shipped. Shipping will be awhile, so probably won't recieve them till September. I may not be able to read and understand Japanese, but if I "read" the pictures very carefully, I may be able to discern different plot points and other twists. After all, it may not be too difficult from building a model kit with all Japanese instructions. You just have to look carefully at the pictures and use common sense to think things through. 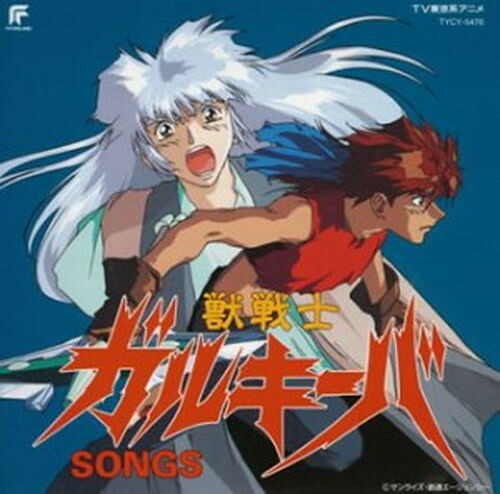 BTW, I did find the music for the series. There appears to be 2 volumes. I myself have no interest in the music. It's just the DVD's and manga I want. 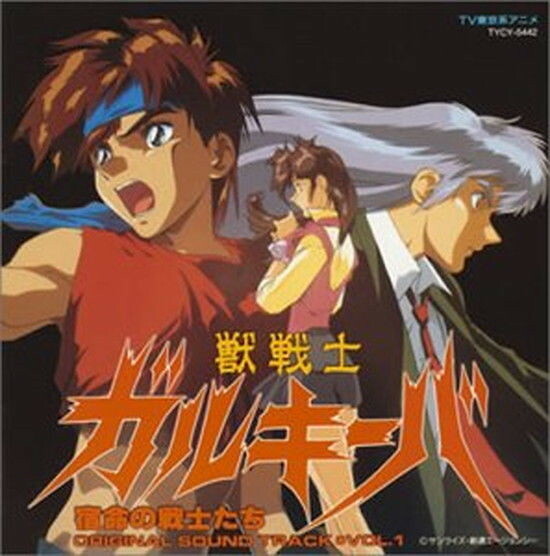 This soundtrack cover appears to be the first volume. This "might" be Volume 2, even though it doesn't say Vol. 2 in the picture. The music from the series didn't click with me. I don't even think there was a theme, and if there was it was pretty unrecognizable. :p For good soundtrack music, there needs to be some type of thematic material to tie the series together, to make you feel for the characters when certain themes play, and I don't think anyone even had a theme. So I'd much rather see some art on the Animaloids or even seeing the original manga art over hearing the music. Should be interesting to see what the manga is like. Just picked up Volume 1 (Seen in Post # 12 further above.) from the post office today. Sure took a long while to get here considering I ordered both volumes on Aug. 25th. I am a bit disappointed that Volume 2 was not shipped together with Vol.1. According to the packing invoice, the seller tends to ship multiple items separately. So........I'll have to wait a few more days for Vol.2. First impressions: At only 176 pages, it's a small manga book. Not like some of the thicker ones you see in other bookstores. It's all in Japanese, of course. But for those like me who have seen the anime, it should be fairly easy to guess what happens in the manga based partly on what was seen in the anime. However..........not all mangas follow the anime 100% accurately and vice versa. For example, in Episode 1 (or 2) of the anime, Touya is seen helping the pilot of a crashed fighter jet. In the manga, there is no such scene. Also, in Episode 2 (or 3) of the anime, Grayfus is trying to help put Touya's bike back together. In the manga, there is no scene of this that I could find. If you can get pictures to show a couple of these differences that would be cool! My guess is the fighter jet scene was replaced with the crashed car scene when they save the kids in the show. The fighter jet scene was in Episode 1. The car crash scene and saving the kids which you are thinking about occured in Episode 3 or 4 if I remember. Since the manga books are thin and short, they appear to be a "condensed" form of the show. I can't scan the pages into my computer as I don't want to bend the book binding too much and ruin the book. But I'll try another way if I can this weekend to take some pics of various pages to show you what there is. Picked up Volume 2 from the post office today. I'll take a quick look at it for any changes from the anime, then let you know what I find later. It would be interesting to hear of any changes. 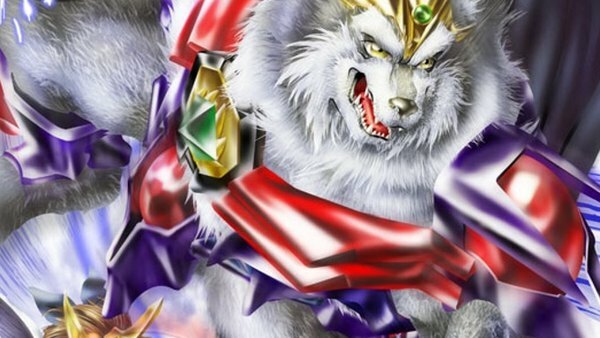 A bit OT, but when I was watching Pom Poko the other day, one of the transformation masters looked a lot like Greyfus, more of a wolf than a tanuki at least when considering the design of the rest of them. I'll post some sample pics of the manga/anime changes tomorrow. I promise. After browsing through both books, I think I can agree with the quote I posted in Post # 6. A lot was changed going from manga to anime. And I do have to agree that the show probably was meant to continue for more episodes, but maybe money or other factors prevented this.